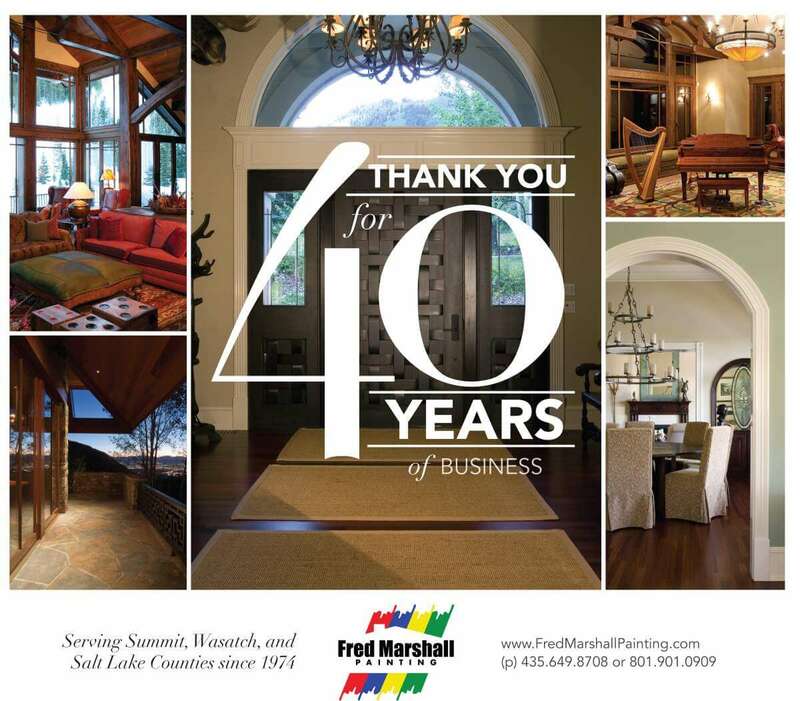 Fred Marshall Painting was founded in 1974. This year marks our 40th anniversary. We are very grateful to all our clients over that time. We ran this ad in the Park Record last week to mark the milestone and thank our customers.